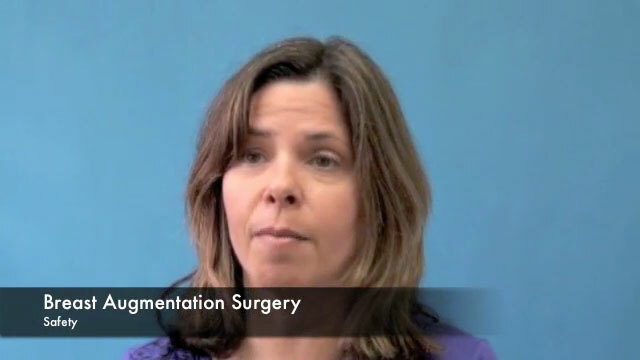 When Choosing a Breast Augmentation Surgeon: Safety Should Come First - Patrick Sullivan, M.D. With spring on its way, we experience a rise in demand for breast augmentation and breast lifting procedures. Here at Dr. Patrick K. Sullivan’s office we aim to balance each of our patient’s unique needs and desires with the most up to date safety practices and procedures. Every potential breast patient has a thorough breast evaluation. During the consultation process Dr. Sullivan will evaluate a patient’s aesthetic goals while at the same time balancing their safety needs. He performs a careful breast exam on each prospective patient and also evaluates whether a patient has an adequate amount of soft tissue to overlay the breast implant. If any area of concern is found to exist during this consultation process, Dr. Sullivan will work with our patient’s doctors to safely resolve any outstanding issues prior to planning surgery. Selecting a breast implant size is also a matter of significant concern to many breast patients as well as to Dr. Sullivan. Dr. Sullivan takes time to discuss with his patients their desired outcome; yet, at the same time he recognizes each individual has a unique anatomic frame and build. Through a detailed artistic and measurement analysis Dr. Sullivan will aim to provide each patient with the best recommendations for their unique body type. It is also important to note that one cannot always pre-operatively determine the postoperative bra size as bra sizes vary significantly with different clothing companies. Therefore, Dr. Sullivan uses sizing instruments and implants during surgery as well to as he wants to determine the best and safest implant. When consulting with a plastic surgeon, a patient should always inquire as to their surgeon’s implant placement technique. Dr. Sullivan usually prefers to place breast implants beneath the muscle and breast tissue. Dr. Sullivan has consulted with radiologists who specialize in mammography and these doctors feel that sub-muscular placement of an implant allows them to evaluate the breast on mammography just as well as if there is no implant at all. Dr. Sullivan also wants the greatest amount of soft-tissue coverage over the implant. He feels this leads to a more natural appearance of the breast while at the same time limiting visibility of the implant itself. Once a patient is evaluated and selected as a candidate for the breast augmentation procedure, Dr. Sullivan focuses on and reviews again the patient’s desired size and shape while they discuss their artistic goals. Together they discuss and decide the best size implants to be used based on the patient’s goals. Dr. Sullivan provides his patients with detailed written instructions describing how best to prepare for the surgery. The breast augmentation surgery is performed routinely as an outpatient procedure with intravenous sedations rather than general anesthesia. Here, once again, the emphasis is on patient safety. Through intravenous sedations Dr. Sullivan aims to avoid intubation, paralysis or any time spent on a respirator. Dr. Sullivan’s skilled team is integral to the patient experience from beginning to end. Each patient is provided with written instructions outlining the postoperative healing period. All surgery patients meet with our team of qualified registered nurse practitioners prior to surgery in order to explain the written postoperative packet page by page and to provide clear answers to any and all patient questions. Dr. Sullivan’s goal is always to provide each and every patient with as much information and clarity as possible in order to ensure the optimum safety and aesthetic goals are met. As the video clip below demonstrates, our patients find the consultation process and emphasis on safety as our goal is a pleasant and stress free surgical experience. Go for it! Try to be specific in terms of what you want and then see if that is possible. I was educated with you [Dr. Sullivan]. Safety really is the most important thing. You spoke to me about some of the safety issues. Which, once I had more knowledge about that I realized you kind of have to make sure that came first. For more information or to schedule your consultation with Dr. Sullivan, please contact our office at 401-831-8300.